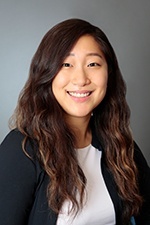 Angela Han focuses her practice on the defense of litigation matters, with an emphasis on personal injury and property damage. She also has experience in the areas of professional liability and commercial litigation. Angela is involved in all phases of litigation including the drafting of pleadings, motions and appeals and trial preparations. Before joining Hinshaw, Angela was a summer associate with the firm. During law school, Angela was a Judicial Extern for the Honorable William H. Orrick, U.S. District Court for the Northern District of California, San Francisco. She also worked as a law clerk for the Office of the City Attorney in Sacramento. In addition to her other law school accomplishments, Angela received a Witkin Award for the highest grade in Legal Research and Writing.